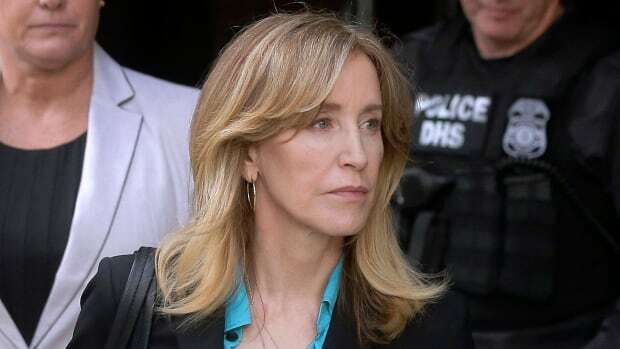 Actress Felicity Huffman has agreed to plead guilty in the sweeping U.S. college admissions cheating scam that has ensnared wealthy parents and athletic coaches at some of the nation’s most selective universities, federal authorities said Monday. The Desperate Housewives star and 12 other prominent parents will admit to charges in the scheme, which authorities say involved rigging standardized test scores and bribing coaches at such prestigious schools as Yale and Georgetown. Huffman, 56, was accused of paying a consultant, Rick Singer, $15,000 US disguised as a charitable donation to boost her daughter’s SAT score. Authorities say Huffman also discussed going through with the same plan for her younger daughter, but she ultimately decided against it. Singer met with Huffman and her husband, 69-year-old actor William H. Macy, at their Los Angeles home and explained to them he “controlled” a testing centre and could have somebody secretly change their daughter’s answers, authorities say. Singer told investigators Huffman and her husband agreed to the plan. Listen: Could a college admissions scandal happen in Canada? Michael Center, the former men’s tennis coach at the University of Texas at Austin, has also agreed to plead guilty in the scheme, prosecutors said Monday. Center was accused of accepting nearly $100,000 US to help a non-tennis playing applicant get admitted as a recruit. California real estate developer Bruce Isackson and his wife, Davina, who are pleading guilty to participating in both the athletic recruitment and exam rigging schemes, are co-operating with prosecutors for a chance at a lighter sentence. “We have worked co-operatively with the prosecutors and will continue to do so as we take full responsibility for our bad judgment,” they said in a statement. Actress Lori Loughlin, who played Aunt Becky on the sitcom Full House, and her fashion designer husband, Mossimo Giannulli are charged with paying $500,000 US in bribes to get their two daughters admitted to the University of Southern California as rowing crew recruits, even though neither participated in the sport. Singer, the consultant, pleaded guilty to charges including racketeering conspiracy on March 12 — the same day the allegations against the parents and coaches were made public in the so-called Operations Varsity Blues investigation. Singer secretly recorded his conversations with the parents, helping to build the case against them, after agreeing to work with investigators in the hopes of getting a lesser sentence. Several coaches have also been charged, including longtime tennis coach Gordon Ernst, who’s accused of getting $2.7 million US in bribes to designate at least 12 applicants as recruits to Georgetown. Ernst, who was also the personal tennis coach for Michelle Obama and her daughters, and a number of other coaches have pleaded not guilty. Former Yale University women’s soccer coach Rudy Meredith has pleaded guilty to accepting bribes to help students get admitted and has been co-operating with authorities. Stanford’s former sailing coach John Vandemoer also pleaded guilty to accepting $270,000 US in contributions to the program for agreeing to recommend two prospective students for admission.